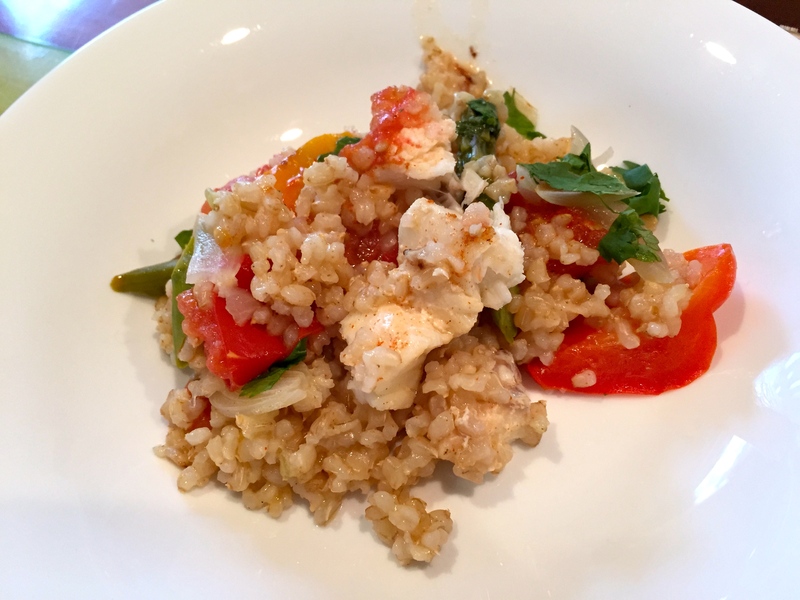 Bio-Bud rice and Icelandic cod risotto | ShaSha Bread Co. 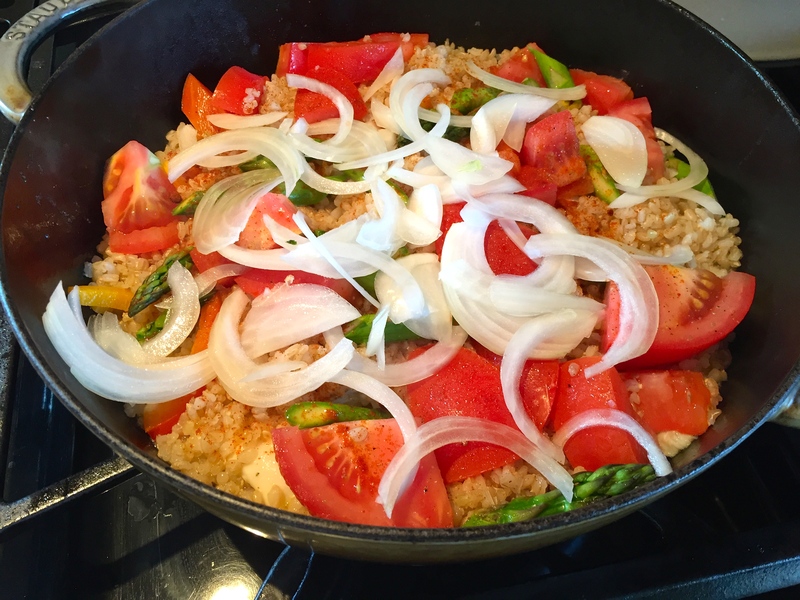 Put all fats in a round pan, place fresh fish and bell peppers in fry pan for 5 mins (don’t mix), then add all cooked rice on top, add tomato’s , asparagus, onions, water, paprika and cover to Cook on low fire for another 10 min. When it’s ready just let it cool for 5 mins before serving.